* Malaria is common in areas of the country below 2,000m (6,561ft). Many of the tourist destinations are above that threshold. 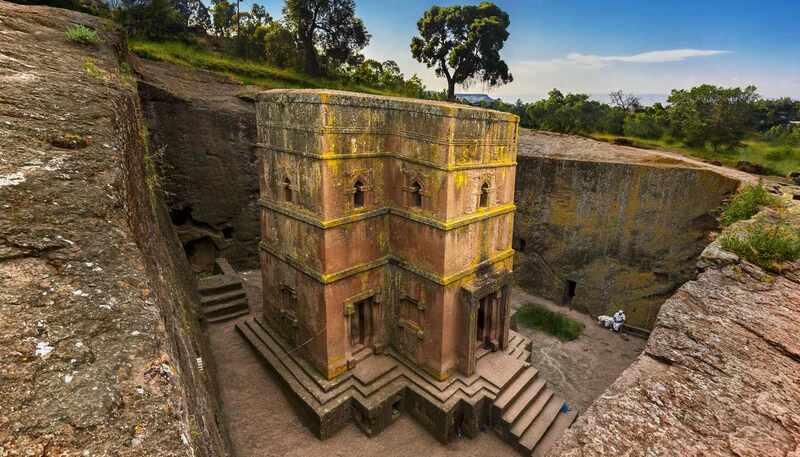 For example, Addis Ababa is at 2,355m (7,726ft), Aksum is at 2,131m (6,991ft), Lalibela is at 2,600m (8,530ft) and Gondar at 2,133m (6,998ft). However, malaria tablets are strongly recommended if you plan to travel to low-lying regions such as the Omo Valley or the southern Rift Valley. * Despite no outbreak has been reported in recent years, many health organisations still consider it a risk of yellow fever. Consequently, vaccination is recommended for travellers over 9 months of age. It is essential to take out comprehensive travel insurance before travelling to Ethiopia and to make sure that necessary vaccinations are up to date. Those with pre-existing medical conditions which require medication should bring the necessary medication with them to last the entirety of their trip. They should also bring a letter from their doctor showing the generic names of the medication and listing any syringes or needles being carried. Clean water is available in tourist destinations. Having said that, as of June 2018, foreigners are encouraged not to drink or brush your teeth with tap water. Bottled water is widely available. Travellers with a sensitive stomach should also avoid raw meat (both kitfo and tere sega dishes contain raw meat), fresh vegetables and unpasteurised dairy products. You may choose to carry a bottle of hand sanitizer with you. However, please avoid using wipes as they may clog up sewers and septic tanks. Diarrhoeal diseases, including giardiasis, and typhoid fevers occur. Bilharzia (schistosomiasis) is present; avoid swimming and paddling in fresh water. Hepatitis A is widespread; hepatitis B is hyperendemic. Meningococcal meningitis risk is present, particularly in dry areas and during the dry season. Rabies is present. For those at high risk, vaccination before arrival should be considered. If you are bitten, seek medical advice without delay. The high altitude and low oxygen level of much of Ethiopia need time to be acclimatised to. Anyone who suffers from heart ailments or high blood pressure should consult a doctor before travelling.